The Janus manager argues that the investing environment is so inhospitable that he is reduced to trading more than owning bonds to deliver shareholder return. 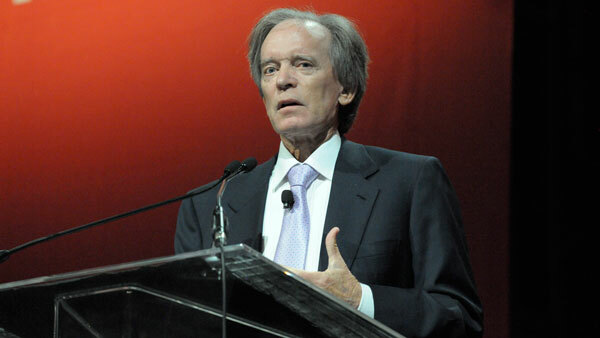 A glum Bill Gross argues the investing environment has grown so “hostile” that he is reduced to trading more than owning bonds as a means to deliver some kind of shareholder return. The Janus bond manager’s April investment outlook returns to a familiar theme for Gross: his quest for the “new neutral rate” for the next 5 to 10 years, which he now estimates as zero. The calculation, which he goes over in wonkish detail, is significant because just last summer he discerned the neutral rate — a target policy rate that reflects but is lower than real GDP — as reaching 2% by 2017, thus suggesting a far gloomier view of the economy over the coming years. Gross discusses four models for earning investment returns in a levered economy that cannot function with anything but very low rates. The first approach to investing in a 0% real rate environment — that of Bridgewater Associates’ Ray Dalio and Robert Prince — is through cautiously levering; that is, borrowing short term to invest long term. A second approach is that of GMO Asset Management’s Jeremy Grantham, who suggests going to cash for a seven-year period until mean reversion restores market opportunity. That approach, Gross warns, will underperform if markets don’t crash as Grantham expects. A fourth approach is that of Vanguard founder John Bogle, who argues that investors can’t know where markets are headed but can control how little they pay for investment management. “The most attractive opportunity to me rests with the notion that Draghi’s 18 month QE, which roughly purchases 200% of sovereign net new issuance during that time, will keep yields low in Germany and therefore anchor U.S. Treasuries and UK Gilts in the process.